For over 25 years Dr. Jim Phillips Jr at Phillips Family Dentistry has been providing a full range of family, cosmetic and restorative dental services including regular cleanings, crowns, veneers, implants and teeth whitening. 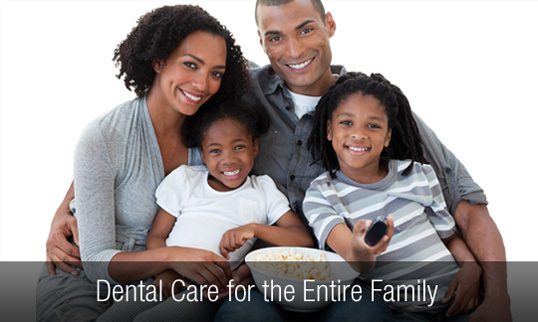 We have created a relaxing, comfortable environment to provide state-of-the-art dental care for you and your family. Welcome! Dr. Phillips has been proudly serving the Auburn, AL area for over 25 years, and the dental team here at Phillips Family Dentistry is pleased to welcome you to our practice. We want you to feel confident that when you choose us, you know you are working with qualified, experienced and caring dental professionals. When you come to Phillips Family Dentistry, you know you're visiting a practice that wants to make you a part of our family. Our roots in Auburn are deep! Dr. Phillips attended Auburn University, and his father, Jimmy "Red" Phillips, was an Auburn football legend. He has been married to his wife Melinda Phillips, also a member of our staff, for more than 30 years. They employ a friendly group of dental professionals who want nothing more than to see you smiling, and for you to be happy with what you see in the mirror when you do! We offer a number of services, including comprehensive information regarding both cosmetic and family dentistry. From dental implants and crowns and bridges to teeth whitening and general dental concerns, we provide in-depth information to give our patients peace of mind and critical knowledge to fully understand their health conditions. We know how hectic life can be, and that’s why we’re committed to making both our practice and our scheduling practices convenient and easy for all of our patients. We know that you have your choice of any dentist and we are pleased that you’ve turned to us to provide quality and specialized dental care. We invite you to email or call our office anytime to request an appointment or to address any questions. We look forward to seeing you in our office!